Metal Inert Gas (MIG) welding is a welding process using shield gas (GMAW) with inert gas, in which the electric arc burns between a consumable wire electrode and the material. The melting wire delivers the additive material for forming the weld. MIG welding is cost-efficient, versatile and agile which makes it one of the most common forms of indoor welding in most industries. Different shielding gases can be used for MIG welding, depending on the requirement and the material. We manufacture all of our MIG consumables, guns and torches at our facilities in Bradenton, FL. 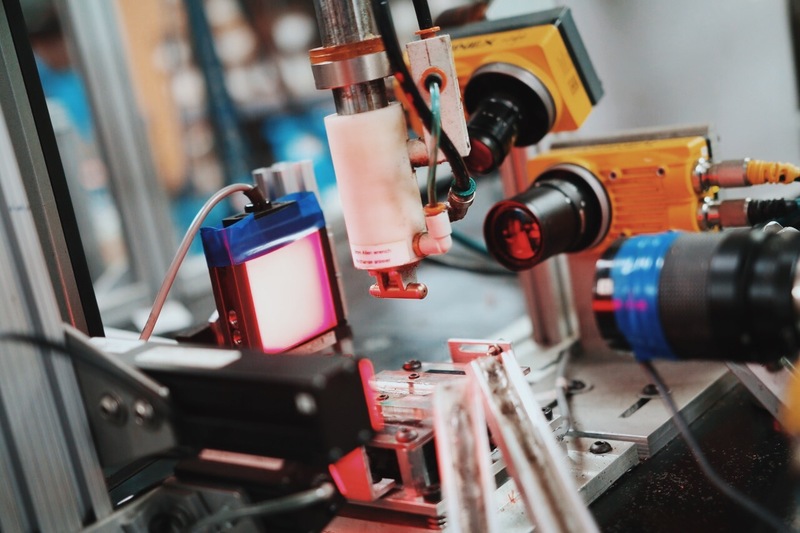 This allows us to ensure they meet rigid standards, including spectroscopic verification of all raw materials and micro vision-inspection of all critical dimensions. Our Cognex measurement systems are capable of detecting variances to .0005 inches. Semi-automatic MIG guns are hand-held, making them versatile and easy to learn. 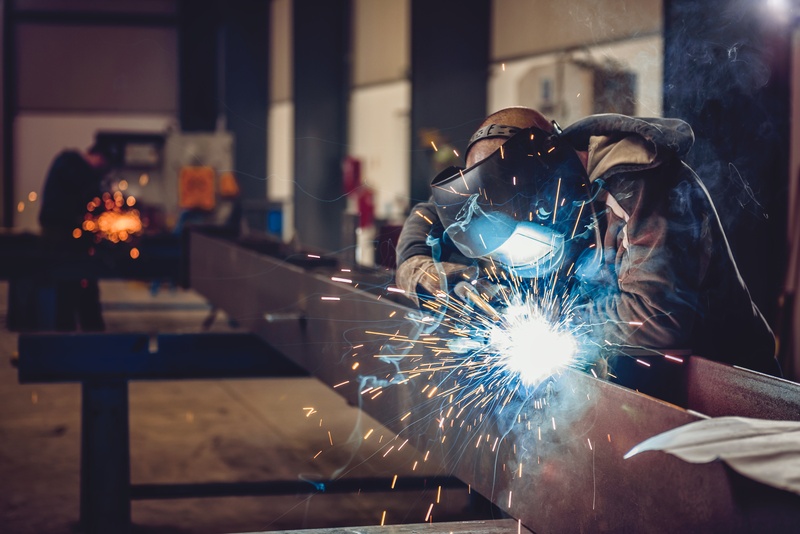 MIG welding can be unsuitable for outdoor environments as they use a shielding gas that protect the purity of the weld. Wind from outdoor environments can blow away this gas, impacting the overall quality of the weld. Fixed automation MIG welding is designed to automated repetitive, long-forms of welding for the manufacturing of things such as hot water heaters and propane tanks. It’s also frequently used in the transportation industry for railway cars and other general manufacturing. “Fixed” refers to the torch itself. Unlike robotic and semi-automatic MIG welding processes, the material/part is placed on a track that rotates or positions itself to set it up for seam welding. MIG welding robots are seen as they key to future growth in the automotive industry. 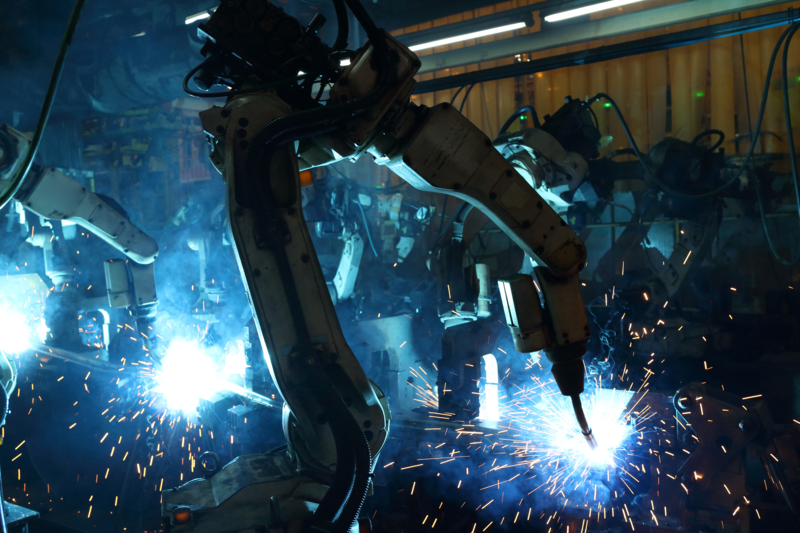 Robotic welds can deliver the precision necessary to meet the industry standards for rattling, safety and efficiency. Smaller shops are starting to see an increase of this automation, too. Robotic welding is providing manual welders with an entirely new skill set and revolutionizing the industry. Indestructible handles backed by a lifetime warranty. Browse all Semi-Automatic MIG guns and consumables for Lightning®. Browse Fixed Automation Lightning® torches and consumables. From through-arm torches with infinite rotation and zero cable torsion to over-arm torches, check out what Lightning® has for your application.